Design and construct electrical systems in homes and businesses. 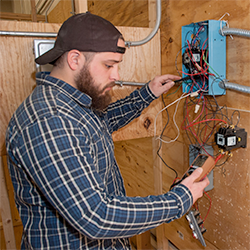 Develop the skills and knowledge needed to build electrical systems. Successfully transition into a first career job and/or related post-secondary training. Interact with local electrical industry experts. I am a graduate of Reading High School and Reading Muhlenberg Vocational-Technical School. 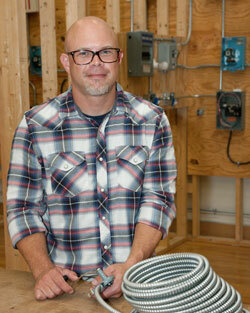 I entered the electrical trade because it is an ever-expanding industry with many different career paths. I decided to enter the teaching profession because I wanted to pass along to high school students the knowledge I’ve attained through my 15 years in the electrical field. 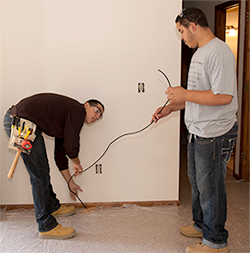 Students can realize these skills and knowledge and some of the opportunities available to them in the electrical industry.